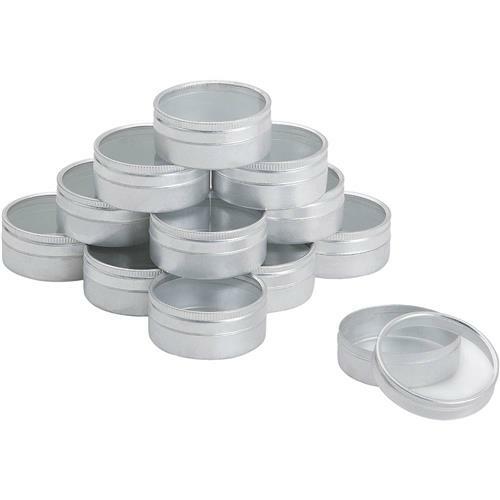 Keep small items organized with these Aluminum Storage Cases. 12 round cases with see-through lids for easy content identification. Round cases measure 2-1/16" diameter and 15/16" tall. Does not include a hinged box. Great for storing small parts and craft work.